This week’s blog is about new home warranty. When we buy a home after 1 year the builder will conduct an inspection. So why should you obtain a 3rd party inspection on your home. Well let’s begin. When we buy new homes, we really don’t think of deficiencies with our home. Then after we buy the home, we really do not think of issues with our home after a year. However, it happens. When you buy a new home the Realtor will inform you about the warranty from the builder. Now this is nice. But, they just usually say. The builder has a warranty with the home in case of any small drywall cracks so they can come back and repair. True but not true. The builder is responsible for everything they did to the home. Small cracks to Windows and doors not functioning properly. And after you move in, if these deficiencies are not corrected promptly the warranty will expire. So you maybe curious of how a 3rd party inspector plays in this role. (me too). Before the 11 month of new home ownership the builder will want to schedule your appointment to do a walk thru and make a list of deficiencies. This is when you call a home inspector for the inspection too. Yes you want to compare apples to apples. Remember this is your home. The builder will not conduct an inspection such as a home inspector. Once the appointment is made let the home inspector know why you want this. And also let the builder know you are obtaining a 3rd party inspection. Let’s be fair to everyone. The inspector will conduct a normal home inspection. Check every room, roof, appliances, mechanical systems and exterior to report the deficiencies. Once this report is obtained let the builder know. They will send an employee out to do an inspection. Compare the two reports. Have the builder agree to the deficiencies to be repaired. Then schedule the appointment for the repairs. This appointment is crucial for keeping do not miss this appointment as you maybe pushed back weeks and then a simple repair may turn into a major job and cause a conflict between the builder and home owner. Normally, after the repairs are done there will be one more inspection near your 2 year mark. Alot of times it’s a simple follow up. However, things can occur. Let the builder know and if you feel you need another inspection, then call the same inspection company. So in closing the main purpose of this type of inspection is so that you and the builder know that an independent 3rd party inspected the home to report the deficiencies and it’s properly recorded. Most builders will honor the reports and repair the deficiencies. But just in case a builder will not then you have the report to refer too. If you like to learn more about our 11 Month Warranty Inspection, go to www.emeraldinspectionservice.com or call us anytime at 352-322-2700. We perform these type of inspections on new homes in Plant City, Tampa, Hernando, and Pinellas Park Florida as well as other areas. Also, from our Family here at Emerald Inspection Service, we like to wish everyone a Very Happy Thanksgiving!!! Wanna share the story of how Emerald Inspection Service, LLC came to life. About this time 3 years ago, Emerald Inspection Service, LLC was born. Emerald Inspection Service was born in Columbia Maryland originally. In Maryland I was in class for education hours for home inspection. During this process it was an exhilarated course. 7 days a week 10 hours per day. During this time we had mock inspections, learning different mechanical systems, new technology in the homes and administrative and legal as well. Once I completed the course and passed I was certified with American Home Inspectors Training Institute. However that was not licensing. The next step was to take what I learned and prepare for my test. I found out that Maryland accepts the National Certification Of Home Inspectors test. This also allows me to work in other states as well without taking another state test. Different states may require additional education hours, such as Florida. Once I passed the test, I was legally in business. In February of 2014, I received my Florida Home Inspectors License. Now moving to Florida, I learned that Florida required about 40 more educational hours. Being the aggressor that I am. I enrolled in about 120 more hours. This giving full course credit from #AHIT. Since then, I have completed other courses as well to stay up on industry standards and license requirement. Moving forward into our new year, Emerald Inspection Service has serviced over 200 clients in MD and FL. We provide certified floor consulting, 203k consulting, construction inspections for contractor or the home owner, and radon testing just to name a few. We offer warranty service with our inspections and this has expanded to termite warranty. Our normal service coverage area ranges from #Hernando to #Sarasota. And from #Clearwater to #Clermont Florida. So in closing I would like to thank the clients and referral partners that have helped us get where we are today. Alot of people have asked why then name Emerald Inspection Service? Well in short, the Emerald is the stone of prophecy. The stone can keep the worrier calm and bring to reason. So at Emerald Inspection Service, there is no reason to worry about your next property inspection service. Which is why our slogan, Quality Inspections With Clarity! Again, Thank You! This weeks blog is a bit late but is more organic and about an actual occurrence that happened the past weekend. A good friend of mine is buying their first home in the Riverview Florida area. In the north we call them town homes down in the south they are refereed to as villas. The name description of your new home is what they use wording according to the area. I was asked to inspect their home. When I saw that it will be a built up stucco home for the second level, I took note to the outside sheathing. Additionally while inspecting the interior we noticed framing deficiencies in rooms over 6 inches. This is huge. The potential home owner can not be at site during construction in all phases. But when a small villa is to be built, it needs to be built by the specifications of the blue prints. When building a home you have stages and yes you have rain delays in any type of construction. However, your General Contractor should have a representative to coordinate daily construction activity and know typical deficiencies about the sub contractors. When I went to inspect the home, I found that the sheathing on the top floor has brown wood, turned edges and additionally the window wells are not covered for moisture. Brown wood refers to a pieces of sheathing that is over weathered and should not be used, as it is has gathered extreme moisture in that pieces. The turn edges reflect that the corners that the ends have moisture entered the ends of the sheathing and needs to be replaced. These are items that should be addressed to the builder or general contractor to replace these deficiencies. 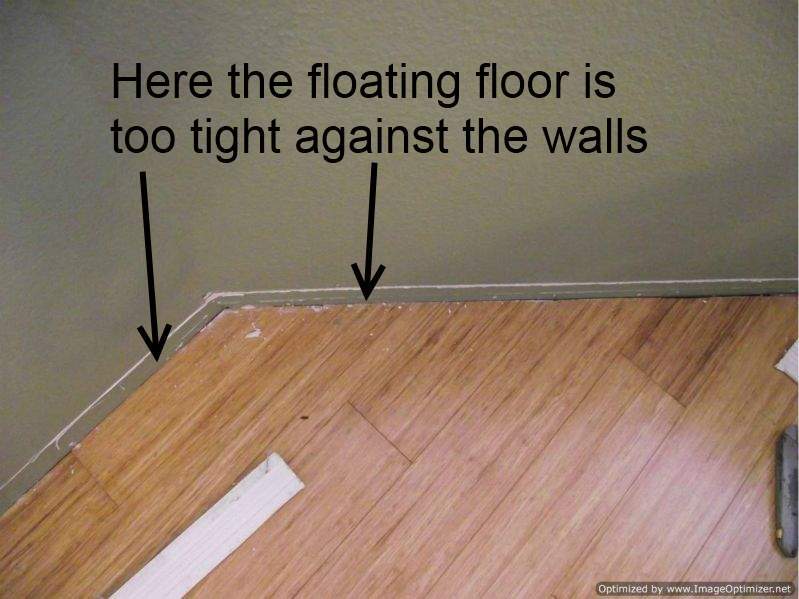 Also, a home inspector should inspect the final product. A true home inspector will use their tools in the tool box to make sure moisture is not irreverent in the home. We can do these type of inspections and we are working to gather our building inspection certificate with State of Florida. We will gladly perform this inspection from Clearwater and Sarasota to Orlando and Hudson. To find out more contact us at 352-322-2700 or get us on the web; www.emeraldinspectionservice.com Thank You. This weeks blog is about “Construction Inspections”. The past week, Emerald Inspection Service, LLC performed 2 construction inspections and resulted into a mold testing. This weeks blog will focus more on construction inspection. So to start, what is a construction inspection and is the home inspector licensed in Florida and experienced and certified to perform this inspection. A “Construction Inspection” is an inspection that is catered to the client. The construction inspection can be very detailed and code oriented, a 203-K Consultant, or a quality assurance/quality control inspection. Most home inspectors will not perform this due to the paperwork involved depending on how the inspection is performed. Below in detail will be a description of each type of inspection and credentials required to perform each type. For the next type of construction inspection, this can be detailed toward code and specifications of the building plans which sometimes mirrors a quality control/quality assurance inspection. A third party inspection that is generated to inspect that the contractors are performing the work as required to specs and code is usually simple. Yes, you will have a building inspection. Yes different trades will be inspected by the local municipality, however if the specifications in the blueprints state a specific item to be built over and above the local codes this may not be addressed by the local building official. This is where sometimes a third party inspection is required. The building official will inspect for their requirements and be done. A third party inspector may address deficiencies of code or specifications and need to be addressed to the contractors. This is the part that a QA/QC sometimes mirror each other. This is also where the client that wants this type of inspection wants to know that the inspector has a background in construction, remodeling and or a previous contractor. Not a handyman. If the inspector can safely state contractor experience and provide licensing, even if prior, then that maybe the inspector deemed toward this type of inspection. Now for the third type of inspection. Quality Assurance and Quality Control. A QA/QC inspection starts when the homeowner has concerns about the quality of the current contractors and their performance. Usually, a homeowner seeing work performed by the contractor will know if they are happy in the performance of the specified plans and specifications. When they are not, a third party inspection is usually the best alternative to rectify any concerns. Specifications on blueprints will override any general documentation on the prints and supersedes what the plans are. For example, the client may had want “aging in place” support framing. The contractor did not perform that so the deficiencies are reported to state what the contractors’ need to correct. With this, many deficiencies are usually noted to the client in a detailed report. The client of ours, then takes our report to let their contractors know of their concerns. Sometimes a repair verification report maybe required to make sure the deficiencies were performed correctly. Lastly, is a great tool for any home owner. We all have our careers and family as well and a simple construction inspection will give you, our client piece of mind not to worry during remodeling times. Or as our logo states; Providing Inspections With Clarity.